Little Elliot, BIG FAMILY REVEAL! 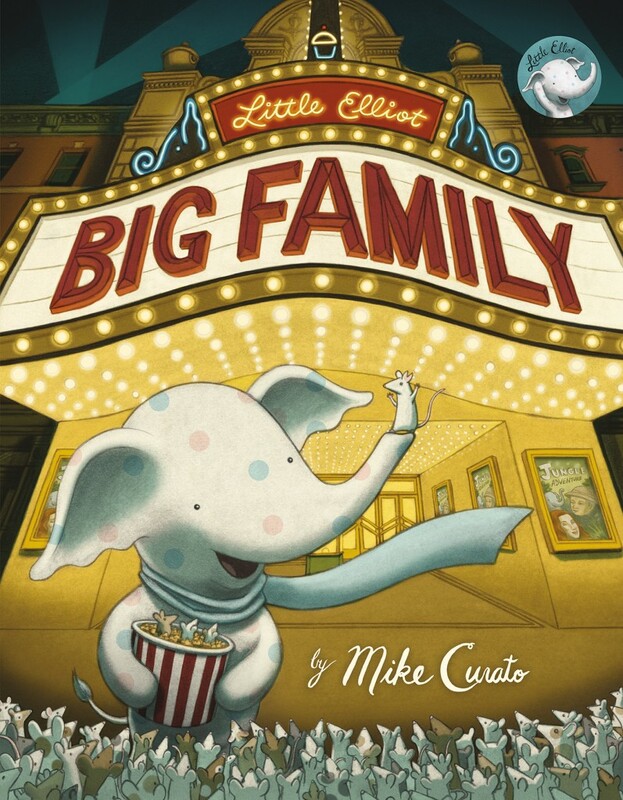 I’m so excited to share the cover of Little Elliot, Big Family with you! I’m very proud of this book, and I can’t wait for you to read the whole thing! When Mouse heads off to a family reunion, Little Elliot decides to go for a walk. As he explores each busy street, he sees families in all shapes and sizes. In a city of millions, Little Elliot feels very much alone–until he finds he has a family of his own! I may be a bit late on the whole 2014 recap, but since the cover of Little Elliot, Big Family is being revealed this week, I’m taking some time to reflect. In the new book, Elliot learns that sometimes family can have a broader definition: it can include anyone you love. 2014 was much more than my picture book debut, it was the making of my kidlit family! Meanwhile, I want to share a sneak peek at some of the sketches from the second book!